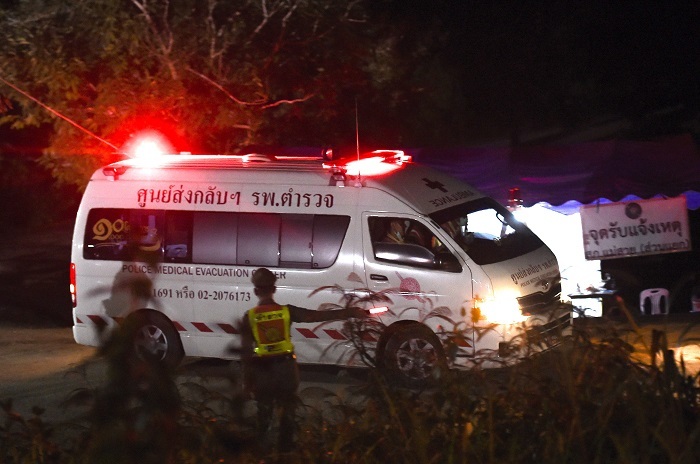 All 12 trapped boys and their soccer coach have been freed from the flooded cave in Thailand. When the boys were first located in the cave, 9 days after their disappearance, viewers found it remarkable how calm they appeared on camera. Divers agreed that the boys were in good spirits and surprisingly calm throughout the ordeal. It turns out there is a reason for that: the boys had been sitting in the dark, meditating, at the moment of discovery. The 25-year-old soccer coach Ekapol Chanthawong spent ten years in a Buddhist monastery after he became orphaned at age ten. During his time at the monastery in Mae Sai, Thailand, Ekapol trained in meditation as a Buddhist monk. He ended up leaving the monastery to care for an ailing grandmother, and then became a soccer coach. Nevertheless, he maintained close contacts at the monastery. Ekapol's aunt, Tham Chanthawong, said that her nephew could meditate for up to an hour at a time. The young coach realized that meditation could help keep the boys calm, and he began teaching them the Buddhist tool for peace of mind and relieving stress. Meditation also helped the boys, ages 11 to 16, preserve their energy during a time without food while they waited to be found. Additionally, it is thought that the act of meditation helped save the boys' lives given the minimal oxygen levels in the cave. Oxygen levels had decreased to 15%, down from a normal level of 21%. Meditation helps to slow respiration, reducing oxygen intake. Otherwise, oxygen levels in the cave could have dropped even lower than 15%, which is considered the minimum for sustaining life. The boys are all in good health after rescue though remain in isolation at this time to ensure they didn't pick up any illnesses during their time in the cave. Their coach is being treated for malnutrition after giving most of his share of food to the boys during their ordeal. They are all being shielded from the media for now to protect their mental health.